Let’s make your Tuesday AWESOME! 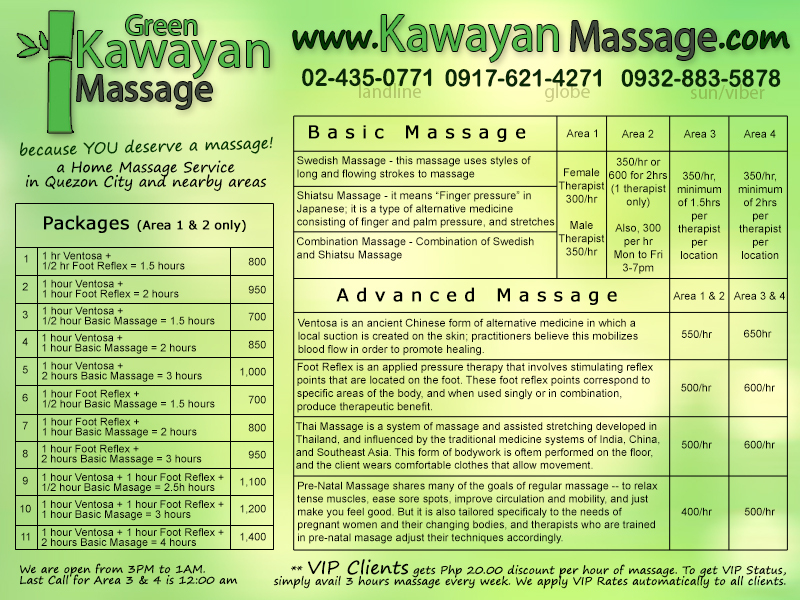 Get a KAWAYAN HOME MASSAGE. For most updated rates, please call or text any of our hotline numbers. Our lines are open from 3 PM to 1 AM daily.